It’s been three years since DC turned their line of comics off and back on again in a massive reboot, following the events of The Flashpoint Paradox. Three years of the New 52, in which DC launched all new comics, cancelled most of them and figured out what to do right. After that period of time, DC is now finally ready to move on, abandoning the New 52 moniker now that their line of comics have had an extended period of settling in. But they’re bringing a ton of new series with them in the wake of their upcoming Convergence event. Convergence, which will see Superman foe Braniac return to shake up the multiverse with super-shenanigans and give the DC comics another, softer, shake-up is already shaping up with a singular purpose: A more diverse line of comics. While 25 of DC’s higher-rated series will remain on, there’ll also be 24 new series announced, that sees the likes of Eisner-winning comics creator Gene Luen Yang handling Superman alongside artist John Romita Jr., Bryan Hitch writing and drawing Justice League and Ming “The Kitchen” Doyle penning Constantine: The Hellblazer. 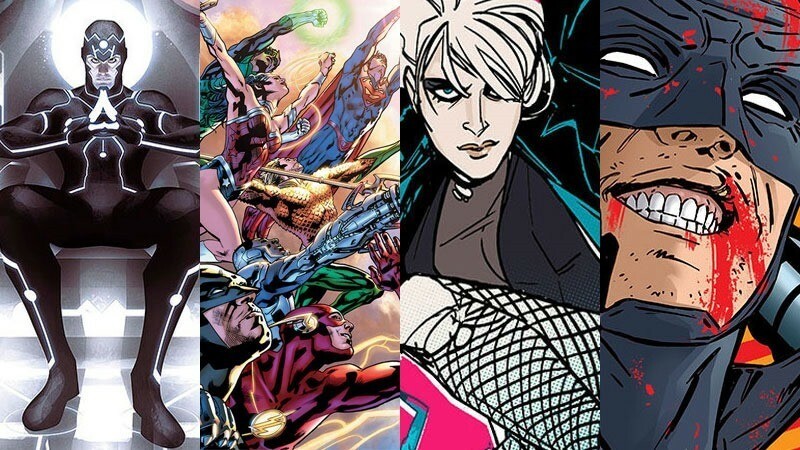 There’s a ton more according to ComicBookResources, as new titles include a “Black Canary” book written by “Batgirl” co-writer Brenden Fletcher; “Starfire,” written by the “Harley Quinn” team of Amanda Conner and Jimmy Palmiotti, “Cyborg,” “Bizarro,” “Bat-Mite” and “Prez;” the latter three of which are described by DC Entertainment Co-Publisher Jim Lee in the press release as “offbeat, irreverently funny titles.” “This heralds in a new era for the DC Universe which will allow us to publish something for everyone, be more expansive and modern in our approach and tell stories that better reflect the society around us,” DC Entertainment Co-Publisher Dan DiDio said in a press release. Whether you’ve been a DC fan your whole life, or whether you are new to comics — there will be a book for you beginning in June. Mystic U – Writer: Alisa Kwitney, Artist: Stay tuned for artist info! Superman – Writer: Gene Luen Yang, Artist: John Romita, Jr. I like what I’m seeing. The comic book landscape is changing these days, introducing characters that not only appeal to more people, but do so organically. And with DC finally shaping up, they’ve got me excited once again.